Updated Thursday August 17, 2017 by Tim Dodge. 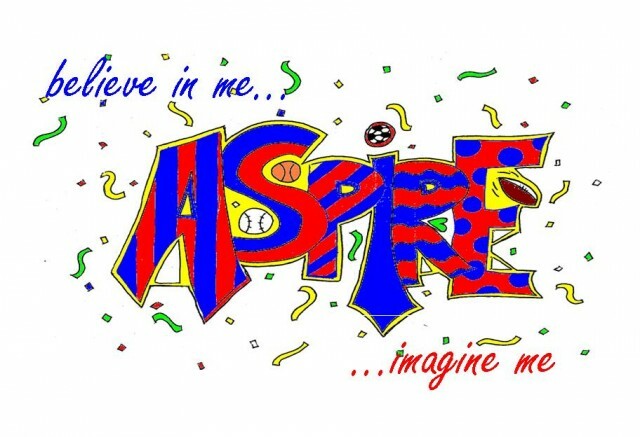 Description: The ASPIRE Program is an Adaptive Sports Program for Children with special needs. It has been created by Parents and Educators of Children with many different areas of special needs. The program has been designed to help these children ranging in ages from 6 years old to approximately 18 (depending on their abilities). The ASPIRE program will allow children to interact with other children that share their same disabilities or to be introduced and learn about other disabilities. These children will be taught skills that will enable them to play many different sports and therapeutic activities. It is important to have a program that allows these kids to be themselves and feel comfortable learning and succeeding at a sport or activity to help them build self esteem and be accepted by their peers. The Social aspect of this program is just as important because some of the children have no outlet for socializing in an environment where they feel comfortable and accepted as well as a network for parents to Volunteer and interact with their children and other parents of children similar to their own. WE HOPE YOU JOIN US!